I don’t often deep fry things but sometimes………. well sometimes its good for the soul to deep fry! Over the weekend I was spending some time with some old school friends and wanted to do a simple sharing plate to enjoy with a beer while I cooked the main course. 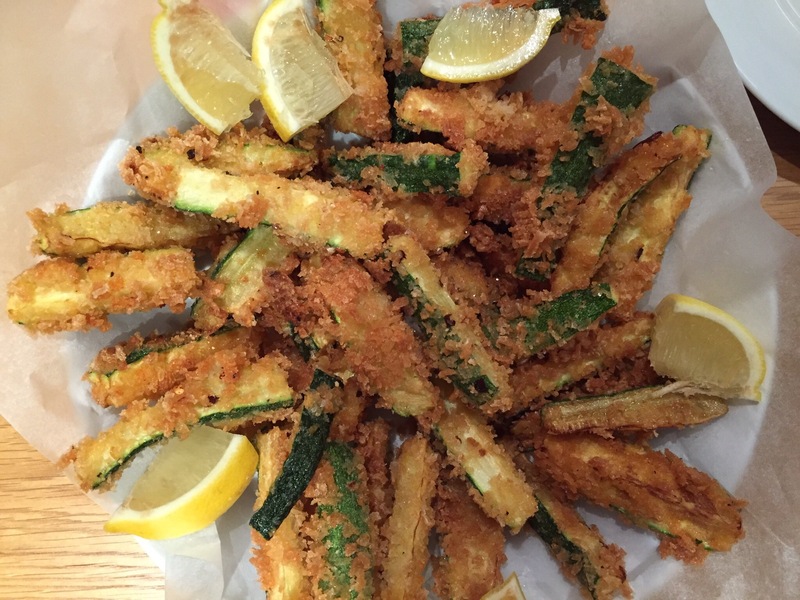 I’ve always enjoyed courgette fries when I’ve eaten in Byron ( a burger chain in the UK) and tried something similar a while ago where I baked the courgettes in the oven rather than fried them. But this was a meal for old friends and the main course was a macho hunk of charred lamb so i thought I’d go the whole hog and fry! I started by making a breadcrumb mix out of panko, parmesan, lemon zest, chilli flakes, salt and pepper. Then it was the usual messy job of flouring, egging and rolling the courgette in the breadcrumbs (if you want to minimise the mess always adhere to the one dry hand, one wet hand rule). Then it was into the hot oil until the fries were golden. I cooked the fries in batches to ensure the oil stayed hot then placed them on kitchen paper to drain. To serve, it was into a big bowl with a healthy dose of lemon juice and sea salt. oh now I’m craving this!! 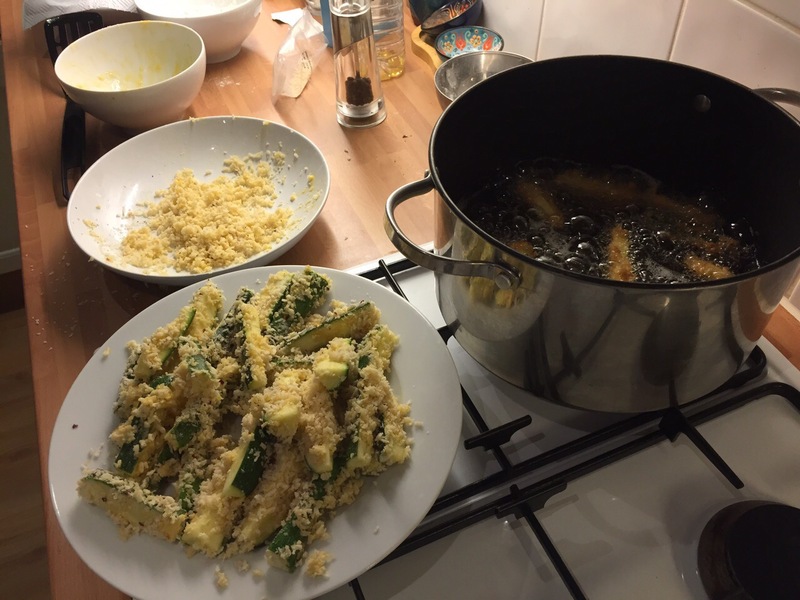 This entry was posted on July 26, 2015 by paulb in Low Carb, Snacks, Starters.